First off, let me start by saying: Thank you Pinterest! 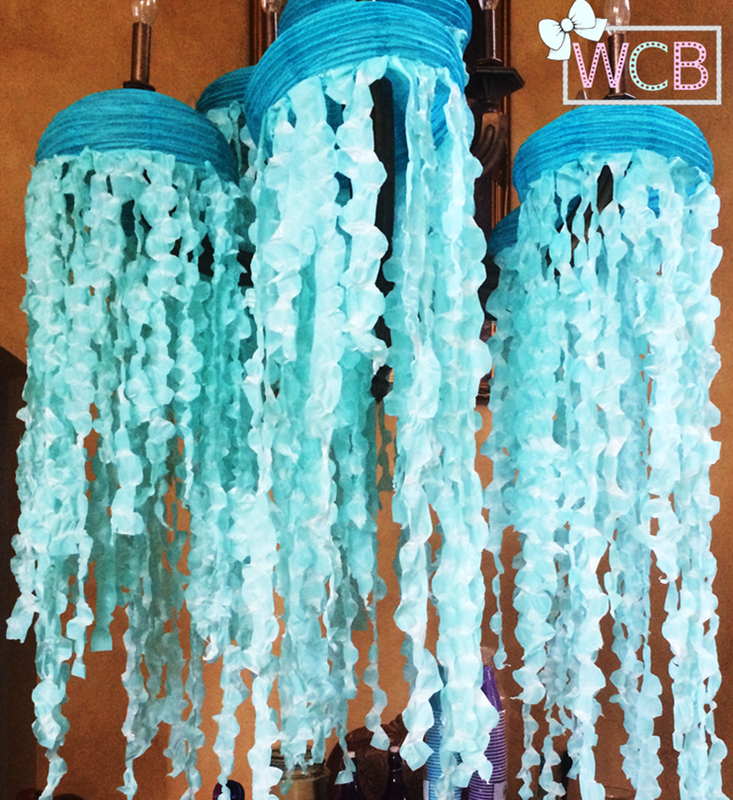 Many people have tried and humiliatingly failed at some projects seen on Pinterest, but thankfully, this was not the case for my Jellyfish/Medusa project that was part of my 25th birthday “Adult Ariel goes to Vegas” pool party extravaganza! And that’s it! This project was super easy and fun to do. My mom helped me stretch the strips while watching TV. I would say it took us about an hour to go through one whole table cover. The best part? This wasn’t too expensive, and it’s going to be a great piece of decor for my yard. Will post pictures of the party once it happens! You can buy these from my Etsy shop here. 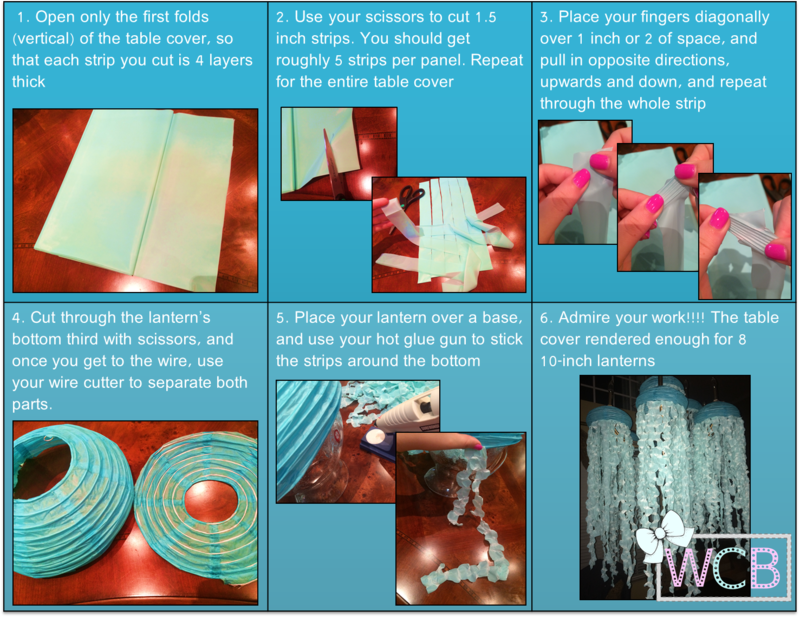 *Table Covers: I had the most random issue with the purple and lavender table covers. For some reason, the “Caribbean Blue” covers (pictured) are very stretchy and giving, so you can pull a lot. Oddly enough, both purple tones I bought were incredibly rigid and it kept snapping while I stretched so those took a little longer to make. Update 10/30/14 – check out all the party details here!